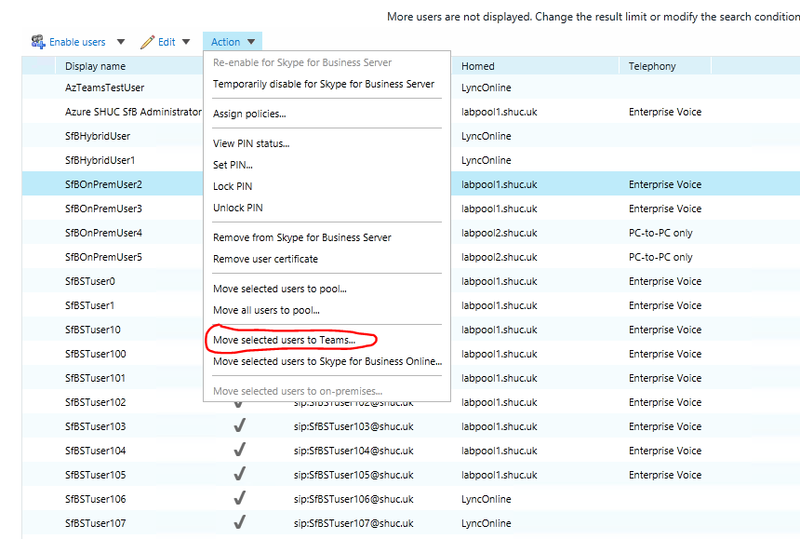 The new -MoveToTeams switch included with the January 2019 Skype for Business 2015 CU includes some new additional switches. On testing the move via Powershell I encountered the error below due to the fact the test user I was moving was not enabled for Audio Conferencing. As I didn’t have an available license for ACP I elected to use the -BypassAudioConferencingCheck switch. From testing the above two switches seem to only be applicable to Teams. When moving a user to SfBO, SfBO only seems to check if the user is licensed for SfBO. If not licensed the move will fail. Moving a user to Teams is also possible via the CSCP. 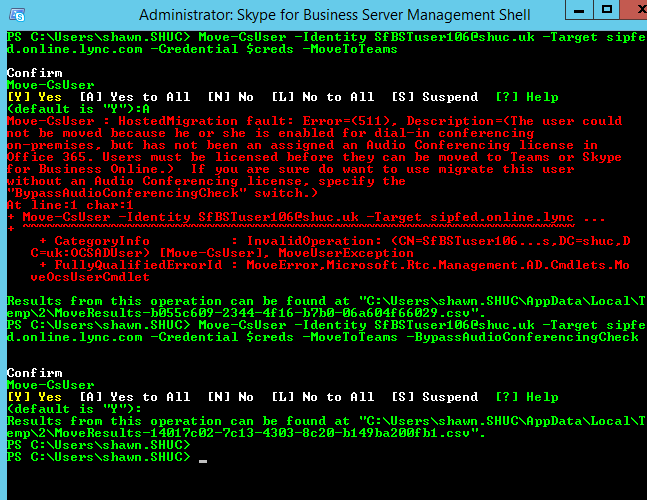 Regardless of whether the user has been moved to Teams or SfBO they always show as homed in “LyncOnline”. It would be useful if Microsoft could update this so administrators know where a user is homed.